Hair, Skin and Nails from Natural Factors is formulated to promote healthy tissues of hair, skin and nails. Hyaluronic acid (HA) is an important natural component of skin produced by specific skin cells. As you age, hyaluronic acid begins decreasing. It starts as early as age 18, but its effects may not be noticed until age 30 or 40. Adding Hair, Skin and Nails from Natural Factors to your beauty routine in your early twenties may help preserve existing HA, while using it in later age helps promote regaining hyaluronic acid to help keep your skin looking youthful and radiant. Hair, Skin and Nails from Natural Factors is formulated by Dr. Michael Murray, highly regarded as a leading authority on natural medicines. Other Ingredients: rice powder, vegetarian capsule (carbohydrate gum [cellulose], purified water), magnesium stearate (vegetable grade), silica. 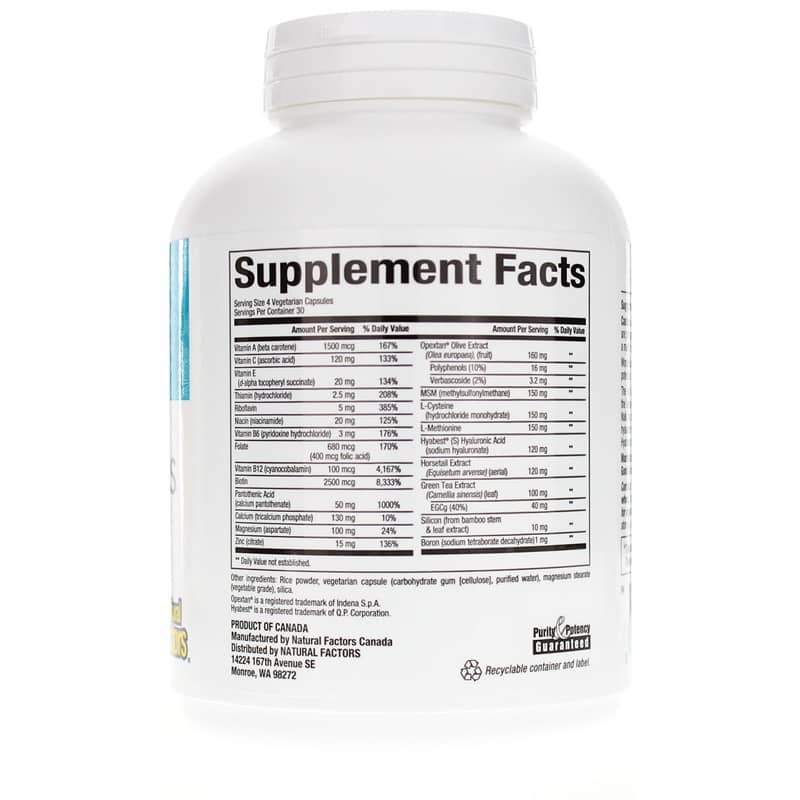 Contains NO: GMOs, dairy, sugar, wheat, gluten, yeast, soy, egg, fish, shellfish, animal products, salt, tree nuts, GMOs, artificial preservatives, colors or sweeteners. Suitable for vegetarians. 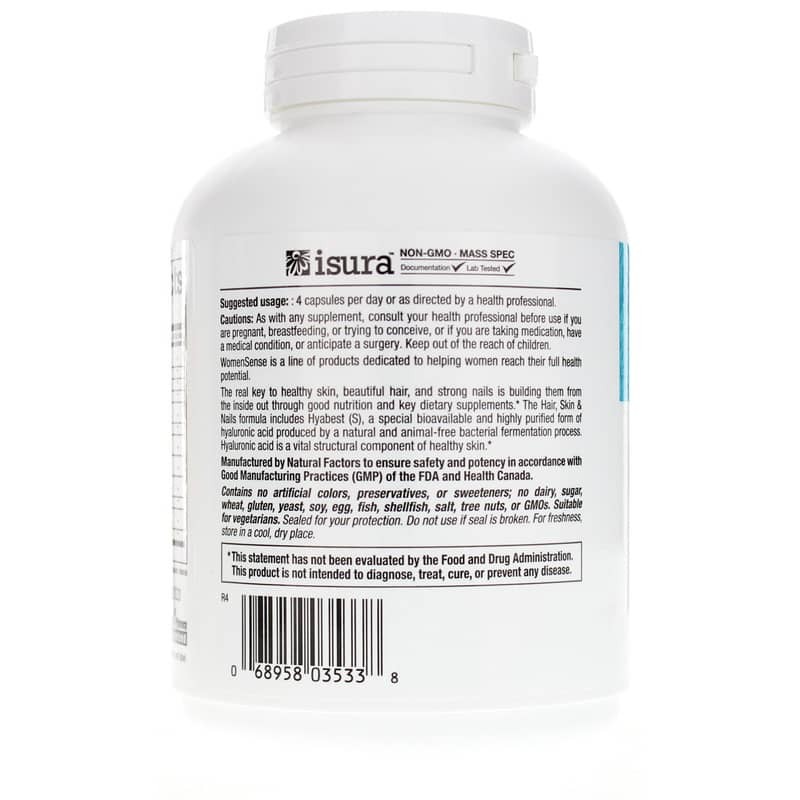 Adults: 4 capsules per day or as recommended by a healthcare professional. If you are pregnant, nursing, trying to conceive, anticipate surgery, taking medications or have a medical condition, please consult your healthcare practitioner before use. Keep out of the reach of children. 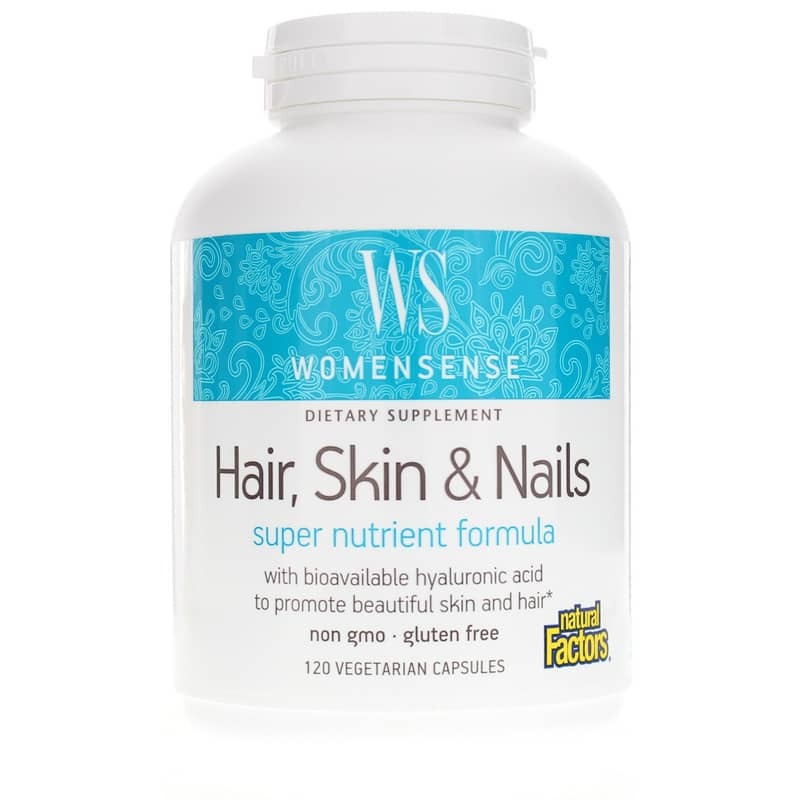 I bought Hair Skin & Nails Super Nutrient for my nails. I am so pleased to say that after about 28 days of taking these supplements my skin/hair issues seem to have improved dramatically. Just so dry in the winters where I live and I feel this has help during these cold months.